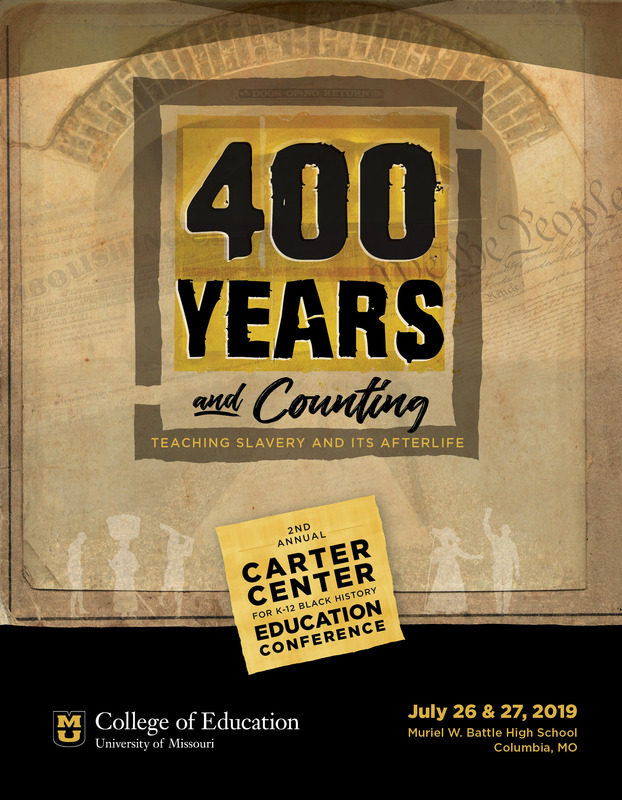 The CARTER Center for K-12 Black History Education at the University of Missouri-Columbia will leverage history educators, social studies teachers, community educators, policy makers as well as other advocates to transform Black history education in today’s public, private, and homeschooled environments. The CARTER Center for K-12 Black History Education at the University of Missouri-Columbia focuses on research projects and teacher professional development activities that seek to improve K-12 Black history education. The center engages in services and teaching related to its research mission while also helping to build networks of people and organizations committed to Black history education. Critical and effective pedagogies by researching master teachers of Black history as well as evaluating how established approaches such as critical race theory and culturally sustaining pedagogy contribute to Black history learning and teaching. The psychological and sociological influences on students, teachers, and society. As part of our research initiative, CARTER has a group of affiliated faculty members from around the country named, the K-12 Black History Research Consortium. Collectively, these scholars have hundreds of quality research studies on Black history education and close to 2 million dollars of grants currently under review. CARTER is committed to improving Black history curriculum and instruction. We understand that history and social studies teachers are curriculum gatekeepers in how Black history is delivered. Research has indicated that many teachers lack the professional development necessary to provide quality Black history instruction. Our goal is to help teachers expand on Black history knowledge and assist them in seeking appropriate teaching methods associated with the subject. Our annual Teaching Black History Conference as well as our teacher professional development program serves as examples. Additionally, we will build a Teaching Black history certificate program for teachers and educators. We will also create content through digital mediums such as podcasting and webinars. CARTER is not the only entity that promotes quality Black history education. Therefore, we are committed to engaging and collaborating with other people and organizations in helping promote Black history education. Our goal is to connect with these organizations and combine resources in order to promote our goals of understanding Black history curriculum, pedagogy, policy, and its psychological and sociological influences. Our partnerships with Liberated history, a digital African American lesson plan depository, and CARTER’s Board of Advisors and K-12 Black History Research Consortium are a few examples of our networks.